A unique piece, this tape sweatshirt by Alpha Industries features a MA-1 flight inspired ribbon, mirroring their range of jackets. 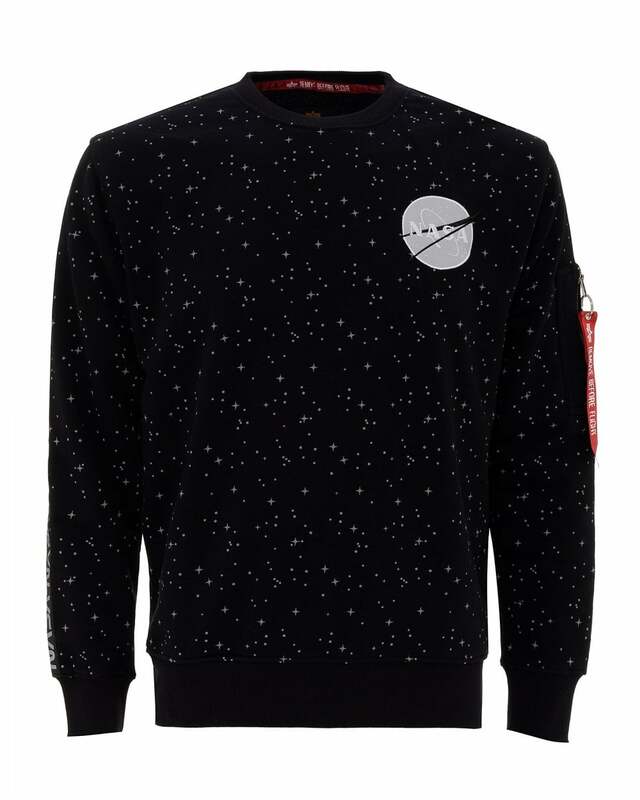 This soft-handle sweatshirt also includes an all-over galaxy print with an embroidered NASA patch to pay tribute to 100 years of Apollo missions. Try this out with black jeans and trainers for a cool, yet unique look.